there was a gorgeous Tiddly Inks Steampunk lady called Precious. 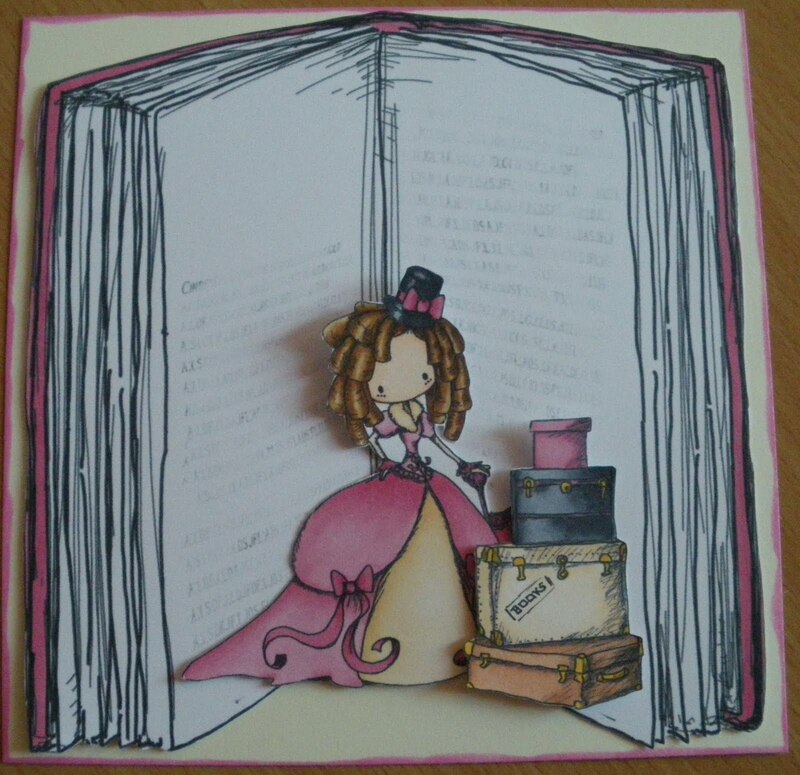 Precious loved to wear beautiful clothes and fancy hats but most of all she loved to read, write and travel. So one cool spring morning Precious dressed in her prettiest travel clothes and booked a ticket on a cruise around the world. 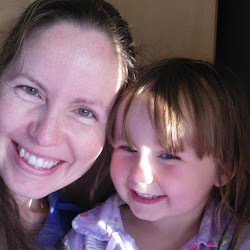 She thought this cruise would be the perfect way to experience new things and write about them in her journals. 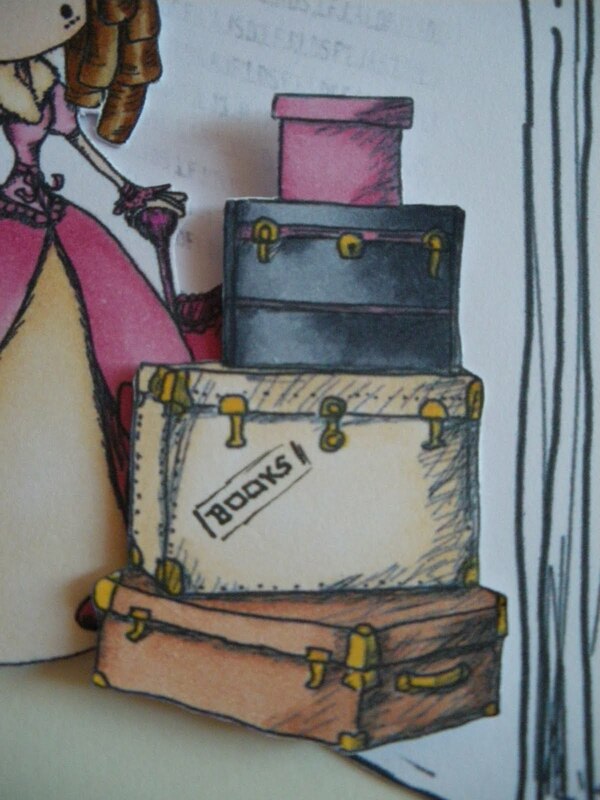 So she packed one suitcase with her pretty clothes, the biggest case with her well read books, the third with her shoes and lastly a small pink box with her favourite hat. 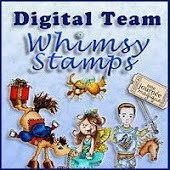 I have used the gorgeous Precious from Tiddly Inks as the star of my story. 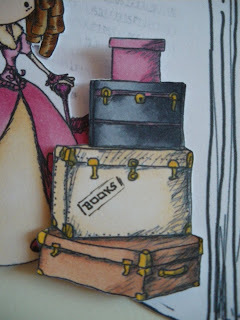 The suitcases and the book background are also from Tiddly Inks ... they were/are available as FREEBIES! E11, 13, 15 - for bottom suitcase (also used Y17 on the suitcases latches and trims. cute story carly and the card is just fabulous!! 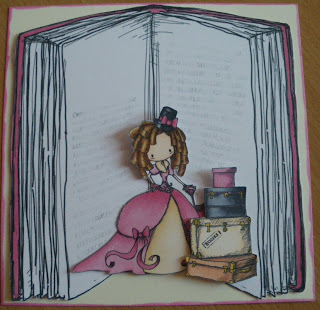 Gorgeous card...love Precious in front of the book - great story too!!! Thanks for joining us at Tiddly Inks this week! Great card!!! Thanks for playing with us this week at The paper Shelter! So fabulously fun!! Thanks for joining us this week at Tiddly Inks!! This is wonderful, love it! Glad you could join us at Tiddly Inks this week! This is darling, I love that image!!! 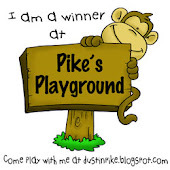 This is my 100th Blog Entry! I used the sewing machine!